Embracing holiday attire a little early. Velour isn&apos;t a fabric I&apos;d considered since Juicy Couture track suits were a thing (and even then, as a college student, I couldn&apos;t see past their similarity to the sweats my grandpa wore). But this rich-colored dress, with its structured sweetheart neckline and strategic draping, made me reconsider. I paired it with a punchy red lip and a swingy blowout, which felt like a subtle nod to old Hollywood glamour without the full-on barrel curls. 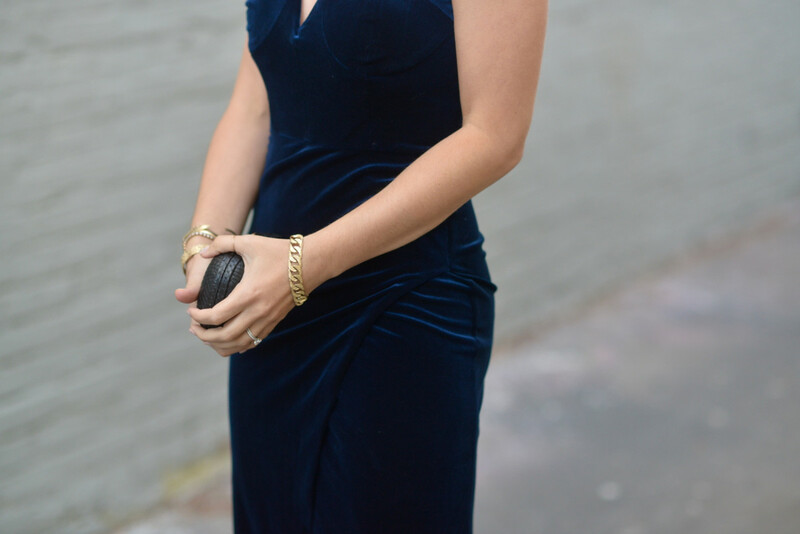 I already can tell this dress will be on heavy rotation throughout the holidays.